We’re back after almost a 3 month hiatus! We were not hiding, we were just heads down into building the next version of the app and we’re super excited to share it with everyone today! 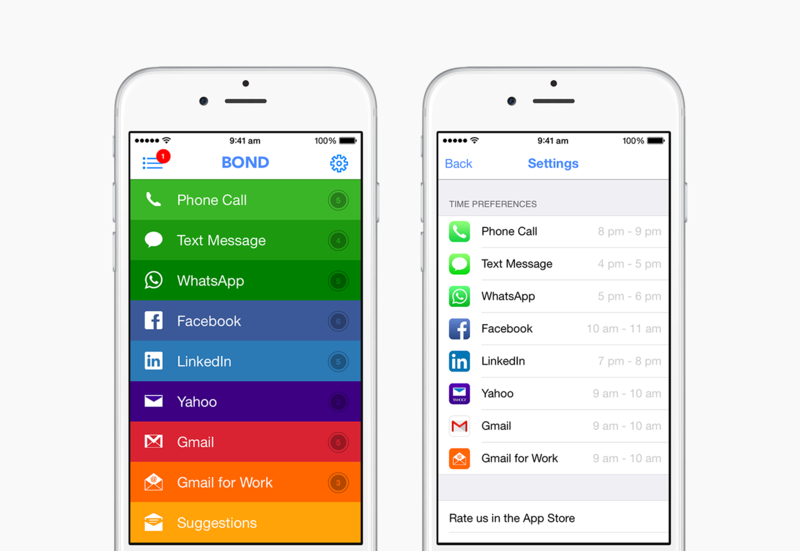 - WhatsApp, LinkedIn, Emails: The first version of the app had options to keep in touch with people through Call, Text and Facebook. The new version integrates with WhatsApp, LinkedIn and Emails (Yahoo, Gmail and Gmail for Work), giving you more ways to keep in touch with your personal as well as professional connections. -Settings: We’re also introducing Settings in this version so now you’ll be able to set time preferences for your reminders. In the previous version, these were predefined but now for each service, you can select a one-hour time slot during which you’d like to get your reminders. So you can identify a few slots in the day when you’re usually a little free and use that time to connect with people. -Support: We’re also adding some basic support tools in the app. This will help you get started and get ongoing support directly from the app. So there you have it! We’re really happy with the way this version has shaped up. It really allows you to keep in touch with everyone that really matters to you and build lasting relationships both in your personal as well as professional life. We’d like to thank all our users for sending us their feedback and suggestions for features. It really helped us take the idea forward and bring it to this point. There’s obviously a lot more we can do and we will do, but meanwhile we can’t wait for you to check out this version. If you have any questions, feedback or stories about how you’re keeping in touch with people, please email us. We’d love to hear from you!